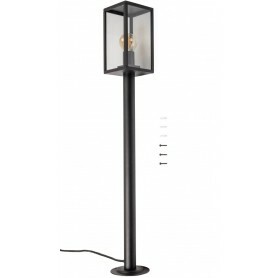 Deluxe Garden Lighting Bundles There are 30 products. Over the last couple of years we have listened to the feedback from our customers and created some deluxe bundles that tick all the boxes. These bundles were put together based on our best selling standard bundles, but with lots of added features that will make installation even quicker and easier. Introducing the Focus 3W Deluxe Bundle. The Deluxe range includes the NEW Techmar connector. 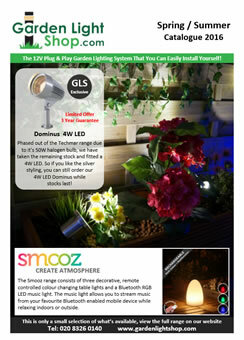 No more measuring your garden, just run the cabling around your garden and connect your lights wherever you want them. This is the simplest system yet! Introducing the Focus 3W Deluxe Bundle + Remote Receiver. The Deluxe range includes the NEW Techmar connector. No more measuring your garden, just run the cabling around your garden and connect your lights wherever you want them. This is the simplest system yet! Introducing the Focus 5W Deluxe Bundle. The Deluxe range includes the NEW Techmar connector. 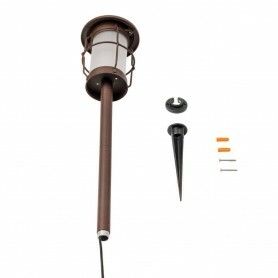 No more measuring your garden, just run the cabling around your garden and connect your lights wherever you want them. This is the simplest system yet! Introducing the Arcus Deluxe Bundle. The Deluxe range includes the NEW Techmar connector. 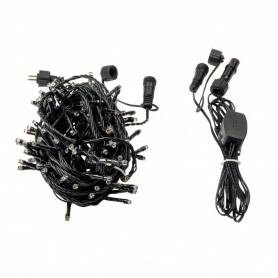 No more measuring your garden, just run the cabling around your garden and connect your lights wherever you want them. This is the simplest system yet! Introducing the Arcus Deluxe Bundle + Remote. The Deluxe range includes the NEW Techmar connector. No more measuring your garden, just run the cabling around your garden and connect your lights wherever you want them. This is the simplest system yet! Introducing the Catalpa Deluxe Bundle. The Deluxe range includes the NEW Techmar connector. No more measuring your garden, just run the cabling around your garden and connect your lights wherever you want them. This is the simplest system yet! Introducing the Catalpa Deluxe Bundle + Timer Sensor. The Deluxe range includes the NEW Techmar connector. No more measuring your garden, just run the cabling around your garden and connect your lights wherever you want them. This is the simplest system yet! Introducing the Catalpa Deluxe Bundle + Remote Receiver. The Deluxe range includes the NEW Techmar connector. 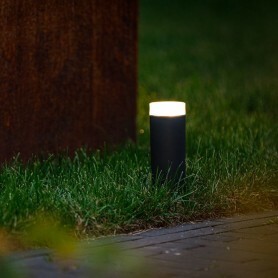 No more measuring your garden, just run the cabling around your garden and connect your lights wherever you want them. This is the simplest system yet! Introducing the Albus Deluxe Bundle. The Deluxe range includes the NEW Techmar connector. No more measuring your garden, just run the cabling around your garden and connect your lights wherever you want them. This is the simplest system yet! Introducing the Albus Deluxe Bundle + Remote. The Deluxe range includes the NEW Techmar connector. No more measuring your garden, just run the cabling around your garden and connect your lights wherever you want them. This is the simplest system yet! Introducing the Orion Deluxe Bundle. The Deluxe range includes the NEW Techmar connector. 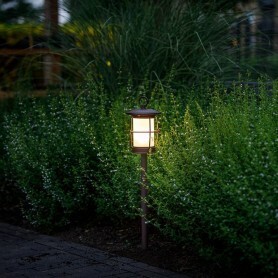 No more measuring your garden, just run the cabling around your garden and connect your lights wherever you want them. This is the simplest system yet! Introducing the Orion Deluxe Bundle + Sensor. The Deluxe range includes the NEW Techmar connector. No more measuring your garden, just run the cabling around your garden and connect your lights wherever you want them. This is the simplest system yet! Introducing the Orion Deluxe Bundle + Remote. 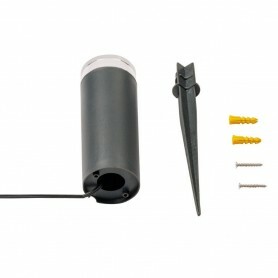 The Deluxe range includes the NEW Techmar connector. 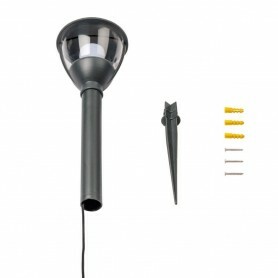 No more measuring your garden, just run the cabling around your garden and connect your lights wherever you want them. This is the simplest system yet! Introducing the Arco 40 Deluxe Bundle. The Deluxe range includes the NEW Techmar connector. No more measuring your garden, just run the cabling around your garden and connect your lights wherever you want them. This is the simplest system yet! Introducing the Arco 40 Deluxe Bundle + Timer Sensor. The Deluxe range includes the NEW Techmar connector. No more measuring your garden, just run the cabling around your garden and connect your lights wherever you want them. This is the simplest system yet! Introducing the Arco 40 Deluxe Bundle + Remote Receiver. The Deluxe range includes the NEW Techmar connector. No more measuring your garden, just run the cabling around your garden and connect your lights wherever you want them. This is the simplest system yet! Introducing the Arco 60 Deluxe Bundle. The Deluxe range includes the NEW Techmar connector. No more measuring your garden, just run the cabling around your garden and connect your lights wherever you want them. This is the simplest system yet! Introducing the Arco 60 Deluxe Bundle + Timer Sensor. The Deluxe range includes the NEW Techmar connector. No more measuring your garden, just run the cabling around your garden and connect your lights wherever you want them. This is the simplest system yet! Introducing the Arco 60 Deluxe Bundle + Timer Remote. The Deluxe range includes the NEW Techmar connector. No more measuring your garden, just run the cabling around your garden and connect your lights wherever you want them. This is the simplest system yet! Introducing the Gilvus Deluxe Bundle. The Deluxe range includes the NEW Techmar connector. No more measuring your garden, just run the cabling around your garden and connect your lights wherever you want them. This is the simplest system yet! Introducing the Gilvus Deluxe Bundle + Timer Sensor. The Deluxe range includes the NEW Techmar connector. No more measuring your garden, just run the cabling around your garden and connect your lights wherever you want them. This is the simplest system yet! Introducing the Gilvus Deluxe Bundle + Remote Receiver. The Deluxe range includes the NEW Techmar connector. No more measuring your garden, just run the cabling around your garden and connect your lights wherever you want them. This is the simplest system yet! The Techmar Heavy Duty Female Clamp Connector can only be used with the Deluxe Cabling. This will not fit on standard SPT1 and SPT3 Techmar cable. If you are looking for connectors for standard Techmar cable, please visit the Connectors and Plugs section. The Techmar Heavy Duty Male Clamp Connector can only be used with the Deluxe Cabling. This will not fit on standard SPT1 and SPT3 Techmar cable. If you are looking for connectors for standard Techmar cable, please visit the Connectors and Plugs section. End caps for use with SPT-2 cabling.